This is a family-friendly event for children to explore, climb and touch trucks of all shapes and sizes. Buy your tickets in advance to skip the line. From exploring cars and trucks, to getting creative at the arts and crafts table and playing with giant bubbles. The wide variety of children’s activities will keep everybody busy and active. 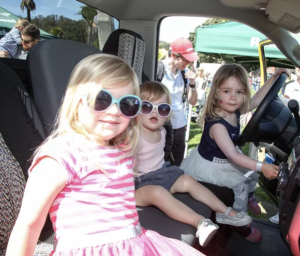 Not only is Touch-A-Truck® a fun and exciting activity for all Bay Area families, but proceeds go to support our community partnerships. To learn more about the Touch-A-Truck event, please visit touchatrucksf.com. Purchase your tickets to the 2019 Touch-A-Truck event today!